A triple-threat back, Bob returned from World War II service to pick up his career where he left off. During war service as an aerial gunner he was shot down over Italy on his 21st mission but escaped after a series of thrilling adventures. 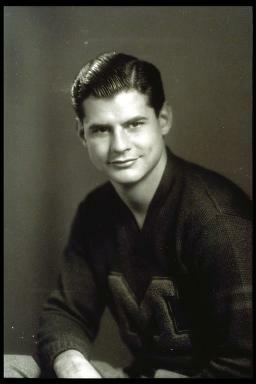 He became one of the country's greatest backs in 1947 and climaxed a brilliant career by setting two Rose Bowl records, Jan. 1, 1948, eclipsing records for total offense and pass completions. He also lettered twice in baseball. Following two years in professional football, he entered business and is now a successful labor relations director. * Does not include statistics from 1948 Rose Bowl Game. Chappuis threw two touchdown passes in the game.